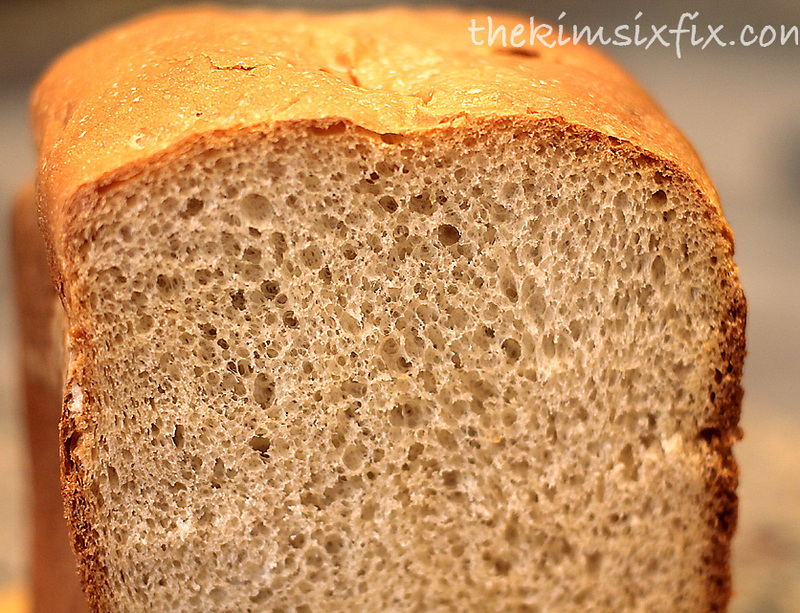 Fool Proof Bread Machine Bread: Only 5 Ingredients! 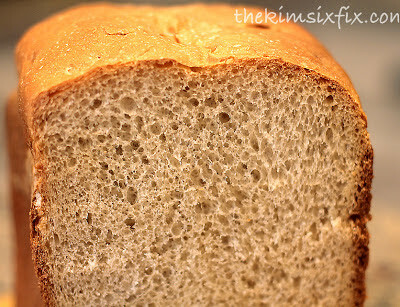 I have always been a fan of my bread machine, but I have never been able to get consistent results. Some loaves of bread are beautiful, crispy on the outside and light and fluffy on the inside and others are like bread bricks. For some reason, some don't rise well and end up dense and heavy and not very good. I have always followed the instructions on my bread machine manual (keep the wet ingredients away from the yeast), and I fear it has led me down the wrong path. 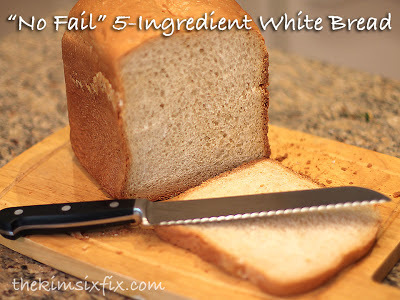 Although it flies in the face of what everyone says you are "supposed to do" I stumbled upon this 'no fail' methodology and now, dozens of loaves later, I am confident this is the ONLY way to use my bread machine. 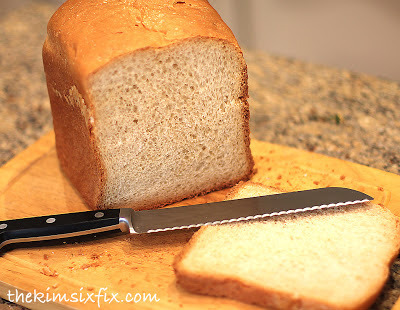 I am including the standard 5 Ingredient White Bread recipe, but I have altered this method to make other recipes (such as this Hawaiian Sweet Bread) and they have ALL come out great. Look at these nooks and crannies.. Perfectly risen, light and fluffy. Just like bread from the bakery! Start your machine (I use either the Basic or White setting but if you are making a sweet bread you can also you alternative settings) and walk away. There is nothing like warm bread straight out of the machine.. Enjoy! I do not have a bread machine, but I did make my first Challah bread last fall. :> That count? I really want a bread machine now! That looks super delicious! So over the last few days I've tried a few different bread recipes and this one was the best! Nice and fluffy! I've bookmarked it and will be making it all the time now. Thanks so much for the recipe! Oh I'm so glad! That was my experience too. I'm a lazy bread machine user, so the low ingredient count and the ease of recipe made it a winner for me!